The planned combination of Harris and L3 is a real merger of more-or-less equals with little overlap and CEO succession set in advance. The U.S. government even comes off better. Yet for most stakeholders to win, someone must lose. In this case, it’s suppliers and employees. 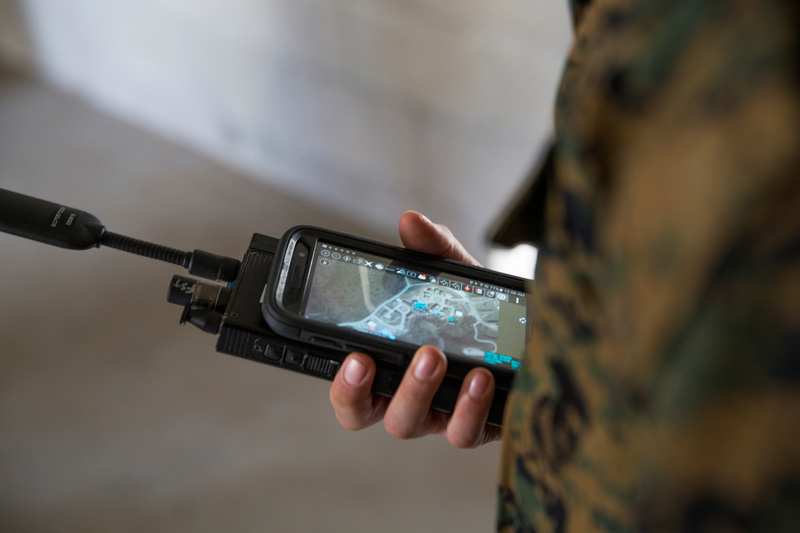 A U.S. Marine is assessed utilizing a communications radio with real time on screen GPS location during Urban Advanced Naval Technology Exercises 2018 (ANTX18) at Camp Pendleton, California, U.S. March 20, 2018. Defense-technology companies Harris and L3 Technologies announced on Oct. 14 what they called a merger of equals. The all-share combination would give Harris shareholders 54 percent of the new company, which had a pro forma market capitalization of $33.5 billion on Oct. 12, and would create $500 million of annual pre-tax cost synergies by the third year. L3 shareholders will receive 1.3 Harris shares for each L3 share they own, valuing each share at $201.33 based on Harris’ closing stock price on Oct. 12, when L3 shares closed at $195.78. L3 Harris Technologies, as the new group would be called, would have combined revenue of $16.4 billion, making it the sixth-biggest defense company in the United States, according to a presentation by the two companies. It would be headquartered in Florida. Harris Chairman and Chief Executive William Brown will be chairman and chief executive of the new company at first. L3 chief Christopher Kubasik will assume the CEO role after two years, and also become chairman after three years. The 12-person board of the combined group would be equally split between representatives of the two companies.